How much does your breakfast cost? If you could use some extra money in your wallet, start with a quick calculation of your breakfast costs. Knowing what you eat and how much you pay can save you money. Whether it’s buying your food on sale, or changing some of the foods you eat, there is certainly room for improvement. Let’s get started. A couple of years ago, I was watching a tv show about financial matters. A person called in to discuss her money issues. She was really trying to save money, and at one point asked the host of the tv show how much she should spend on breakfast. The host had no idea, and could not even speculate. Meanwhile, I had the answer. It was $0.20. My breakfast cost $0.20. How did I know this? At the time, I ate instant oatmeal, purchased on sale for $2.00 a box. There were 10 servings in the box, so that amounted to $0.20. 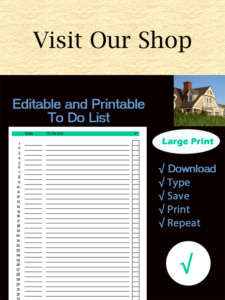 As you can see from just this simple list, prices can vary. It pays to be a smart shopper. 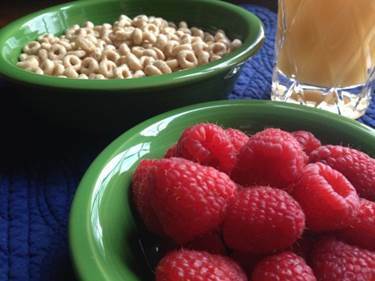 For example, buying a small box of Cheerios for breakfast each day will cost you $135 per year. However, if you bought it on sale or in bulk, it’s only $51 per year. That a savings of $84 per year. Note: You’ll want to pay attention to the Per Unit cost in the middle column. This tells you how much it will cost to eat one item. For example, one bowl of cereal is $0.37. One English muffin is $0.57. A glass of orange juice is $0.38. A cup of coffee also averages $0.38, although this depends on how you make it. Let’s look at some breakfast meals. If you’re trying to save money, you’ll want to take a look at your food expenses. 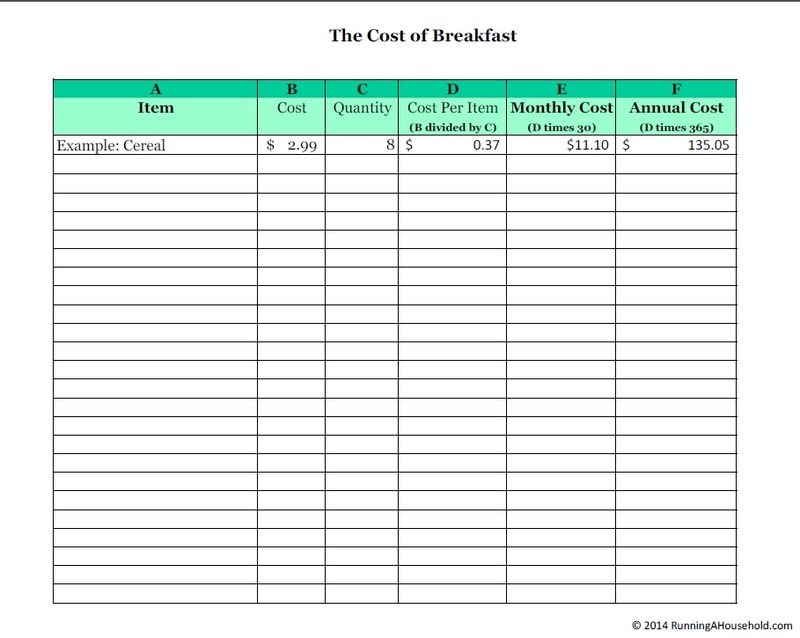 Print our Cost of Breakfast Worksheet. Write down a few items that you typically eat, and the price. Use the labels on the food to determine how many servings each item contains. 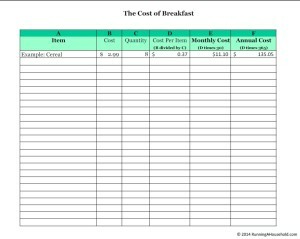 Follow the worksheet to calculate the monthly and annual costs of eating each food. How does your breakfast stack up? Are there any changes you can make to cut your costs? 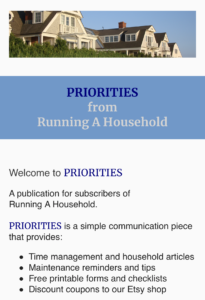 This entry was posted in Meals, Money and tagged breakfast budget, cost of breakfast, dollar cost average breakfast, dollar cost average food, eating breakfast under $1, how much should breakfast cost on November 9, 2015 by Running A Household.